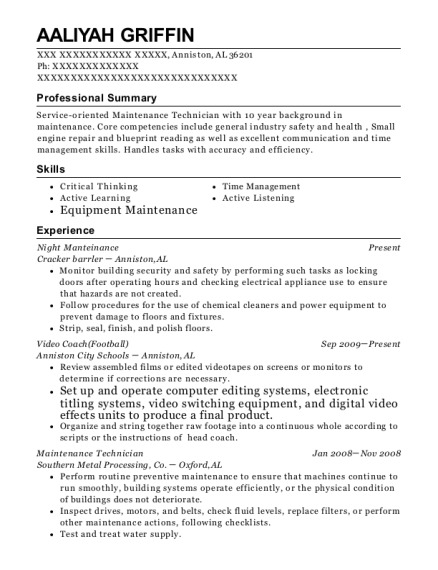 Service-oriented Maintenance Technician with 10 year background in maintenance. Core competencies include general industry safety and health , Small engine repair and blueprint reading as well as excellent communication and time management skills. Handles tasks with accuracy and efficiency. Organize and string together raw footage into a continuous whole according to scripts or the instructions of head coach. Load or unload materials into containers or onto trucks, using hoists or forklifts. Operate cranes to move or load baskets, casks, or canisters. Serviced production associates with the necessary material needed for their jobs. 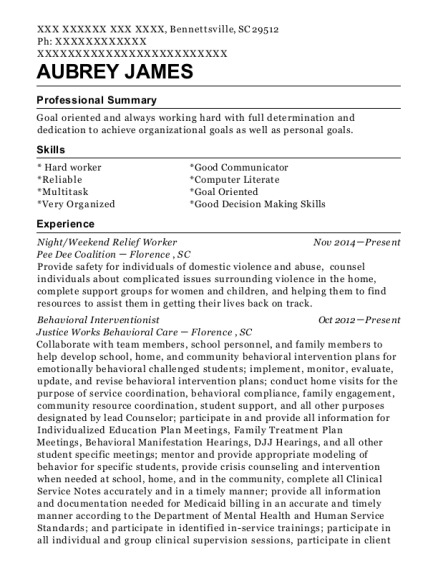 This is a resume for a Night Manteinance in Anniston, Alabama with experience working for such companies as Cracker barrler and Anniston City Schools. 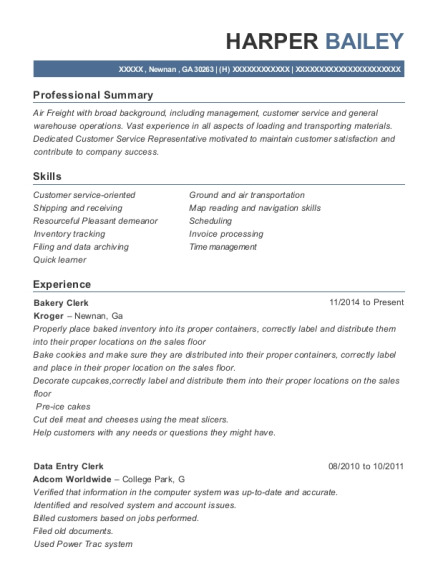 The grade for this resume is 0 and is one of hundreds of Night Manteinance resumes available on our site for free. 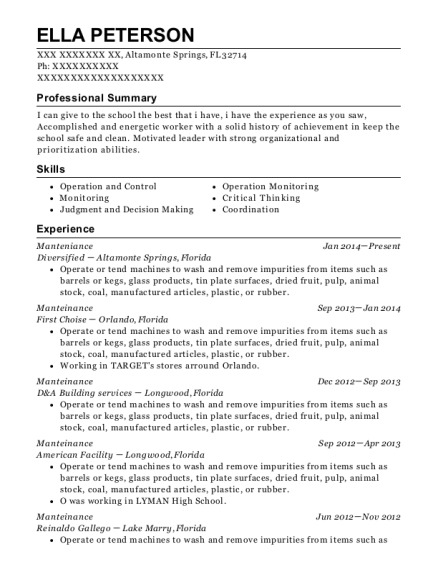 Use these resumes as templates to get help creating the best Night Manteinance resume.